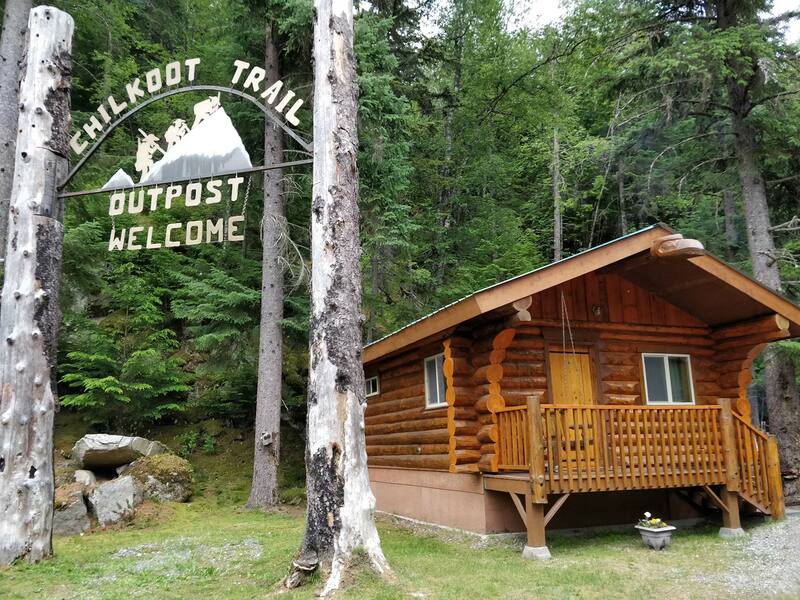 The Chilkoot Trail Outpost offers CLEAN extraordinary and comfortable hand-crafted cabins. 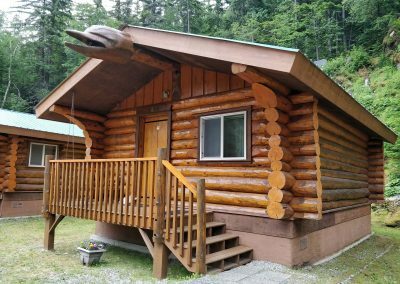 The “Outpost” consists of eight individual cabins that will accommodate guests in ten private quarters. 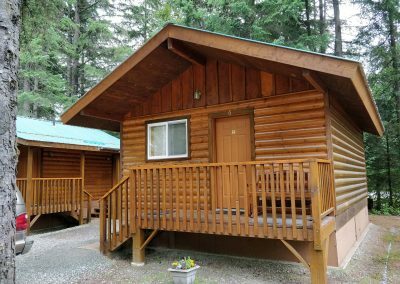 All cabins are equipped with microwave, refrigerator and coffeemaker. A hearty breakfast buffet in the main lodge is included with your stay.In addition, there is a lodge room and 3 additional off property cabins. 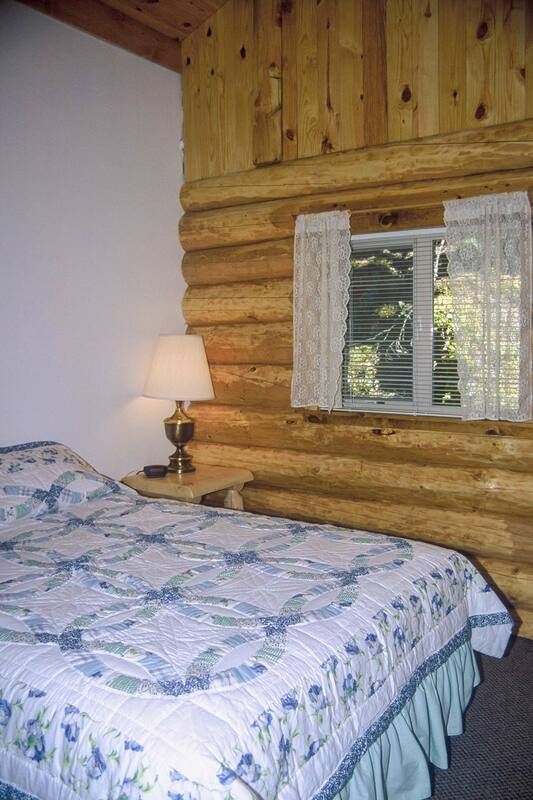 Three suites offer a separate bedroom, sitting room with a double futon and private bath. Each deck has a hand-crafted log swing. 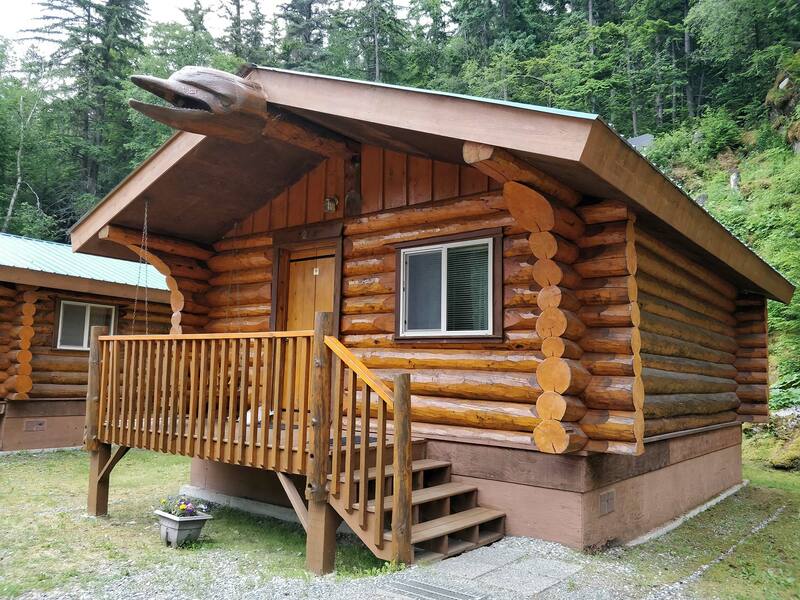 These cabins are made of Sitka Spruce taken from the Chilkat Valley about 20 miles Southwest of here. The logs were transported to the Yukon to Scandinavian logsmiths. The logs were then skillfully hand peeled, sculpted, and prepared for the construction of this site. The ridgepole totem carvings depict ancient Native Tlingit artwork. Two cabins are duplex style with private bath and a double and single bed. Three additional cabins have open floor plans. 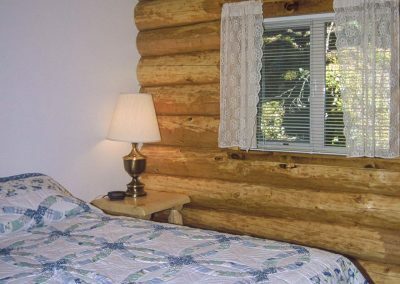 Three additional cabins have open floor plans with two queen beds. One cabin has been designed for physically challenged guests. An enclosed hand-crafted gazebo equipped with a commercial BBQ, sink with hot and cold running water and seating is available to guests. Located between the gazebo and waterfall is our popular evening campfire pit which is a favorite activity of our guests. S’more ingredients and a guitar are always at hand for your enjoyment. The natural beauty of the “Outpost” offers hiking trails, picnic grounds, natural springs, a waterfall, BBQ gazebo, bicycles and much more! 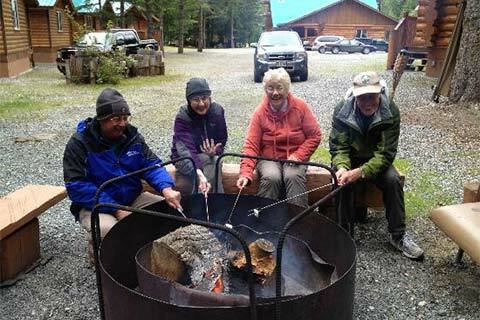 Nearby, free tours of historic Dyea, rafting, dog sledding and horseback riding. 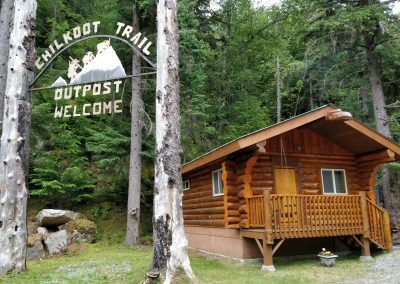 Just down the road is a zipline Adventure with spectacular views of the Dyea and Skagway valleys.